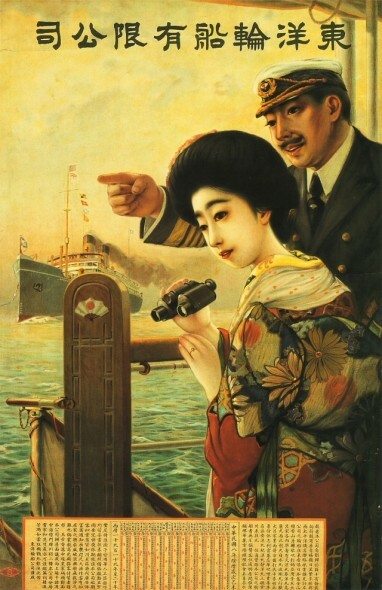 From the book Miwaku no Funatabi, published by the Museum of Maritime Science, 1993. View more travel posters at Pink Tentacle. 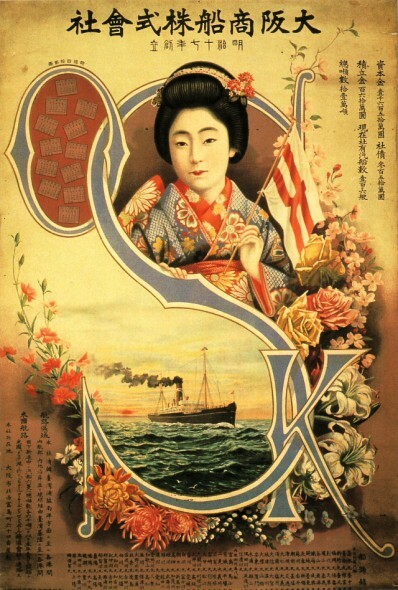 Studying these beautiful posters and the additional ones to which you linked, what strikes me, on reflection, is the absence of emphasis on the exotic and adventurous seen in European/American travel advertisements of the same period (the one exception seems targeted to English-speakers, not Japanese travellers). Several seem to say that sea voyages can be home-y, or as beautiful and comfortable as home. 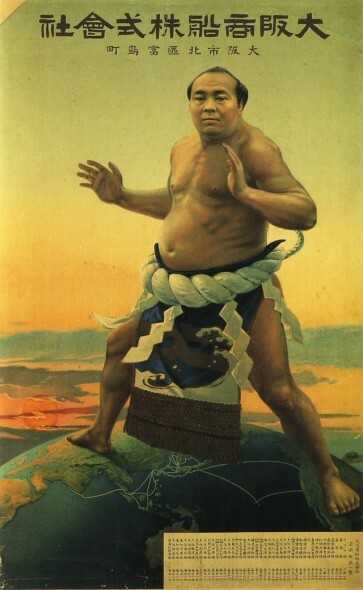 And don’t the posters of a bird holding a flag in its beak and the sumo wrestler spanning continents convey an image of Japanese travellers bringing themselves to the world, as proud ambassadors/promoters of their country, perhaps, rather than a goal to explore it? And I do agree with your assessment. 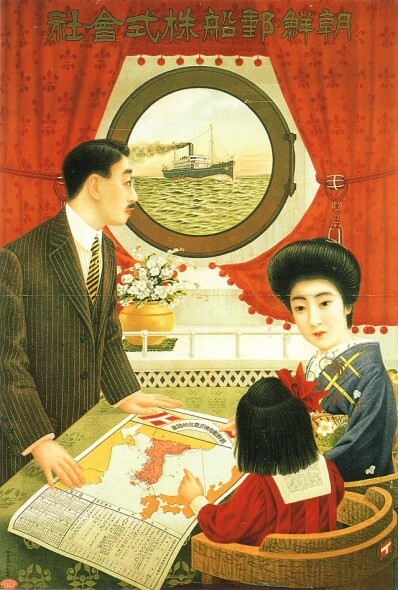 I really like the poster featuring the family who are just who they are: a Japanese family enjoying a relaxing trip on an ocean liner, rather than being “exotic” set pieces. I’ve never seen anything like it. Thank you for sharing! You’re welcome! I came across these while Googling the origins of a 1919 shipping and travel book I read quite recently.